For most of human civilization, public institutions have shaped, if not controlled, the building blocks of culture – the language, arts, conventions, beliefs and knowledge that bring meaning to our social lives. That influence is on the decline; now, commerce and our collective spending patterns play an increasingly important role as consumers voice their beliefs and values through the brands they choose to buy. At the same time, trust in and expectations of traditional institutions are declining, according to the Edelman Trust Barometer. This shift has great implications for brands, as their ability to sell products and services is no longer an introspective look at what makes their product the fastest, lightest, cheapest or best looking and pushing that out to consumers. Rather, it reflects a new reality in which brands are expected to meaningfully participate in broader cultural conversations – a role once filled primarily by institutions like government, religion and academia. This is in addition to being additive community members, as 75 percent of global consumers now expect brands to contribute to their well-being and quality of life. There are a multitude of ways in which brands are doing this, from preserving and promoting art, as textile company Kvadrat and Korean eyewear brand Gentle Monster do, to intentionally creating social hubs that serve as “third spaces” offering cultural programming that drives how a city or community sees itself, as Apple’s Town Squares and Mini’s A/D/O are designed to do. 1. Find Your Voice. You don’t have to have an opinion on a complex and/or divisive political topic. In fact, doing so can be a minefield. A lot of mistakes are being made as brands begin to join the cultural conversation around them. Consider, for example, the backlash to Pepsi’s “Live for Now Moments Anthem,” which was accused of trivializing the Black Lives Matter movement.To avoid missteps, find a topic of conversation that’s authentic to your brand. MINI does this by understanding that cars are but one of the “spaces” in which we carry out our lives and by applying its authority as a mobility company to the conversation around how we live, work and interact in increasingly complex cities. With its touring MINI LIVING installations and A/D/O creative hub in Brooklyn, MINI is meeting consumers where they are, providing solutions to immediate everyday problems, while contributing to broader conversations around urban life. 2. Establish A Framework. This requires putting in place a permanent model with a level of commitment and a degree of follow-through, however big or small. Kvadrat, for example, has a permanent model for collaboration with architects and designers, including lending its R&D to push the boundaries of textile design and its application across various fields. The framework is so engrained that the company views it as an essential part of who they are. The model also contributes to Kvadrat’s perception as culturally relevant to the design community, keeping them top of mind with their consumers. 3. Open Your Doors. An increasing number of companies are recognizing that if all they ever do is offer a product, they’ll soon become obsolete as a brand. Consider the case of Apple, which positions retail space as an important public asset with its Apple Town Squares. 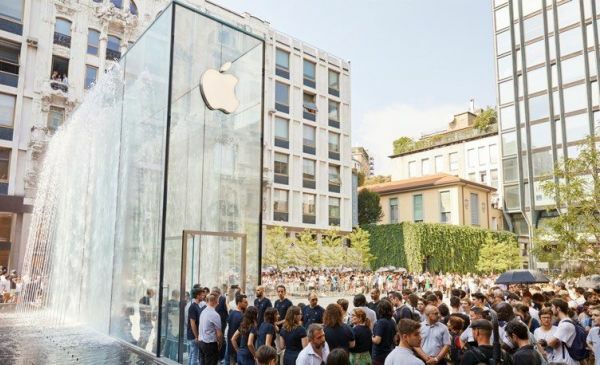 The spaces — Apple intentionally dropped the use of “store” to refer to these locations — focus on comfort, entertainment and truly unprogrammed public space, as is the case at the Apple Piazza Liberty in Milan. Town Squares include boardrooms for local businesses and entrepreneurs to use as meeting space and also offer events, including coding classes for kids and “Teacher Tuesdays” designed to help working teachers better incorporate technology into their classrooms. It’s no longer enough to make the best product and push it out to consumers; brands are expected to stand for something more. Brands able to move beyond the transactional nature of goods and services can maximize the opportunity to not only grow beyond the sum of their parts but also position themselves to have a positive impact on culture, their consumers, and the causes that align with their brand. 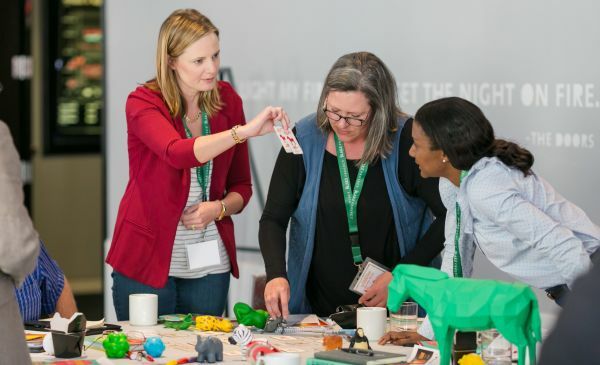 Contributed to Branding Strategy Insider by: Nate Dickman, Creative lead at IDL, an experiential design agency that creates moments to get people feeling, talking and sharing.